Recently, I had a hankering for some tacos. I had all of the ingredients for leftover pork tacos, except for the taco seasoning, a crucial ingredient. What I didn’t have a hankering for was to drive to the grocery store for one item. So I did a quick search and discovered that taco seasoning is really easy to make at home, because the ingredients are most likely staples in your spice cabinet. It’s also easy to adapt to your family’s taste, heat tolerance, and what you have on hand. Try this recipe and once you have perfected it to your family’s taste, make it in bulk and store in a air tight container. Store bought taco seasoning isn’t too outrageously priced at .50 – $1, but I made this recipe in bulk for zero cents, because I had all of the ingredients on hand. Another reason to make your own blend is that you are avoiding the fillers and preservatives found in store bought versions. 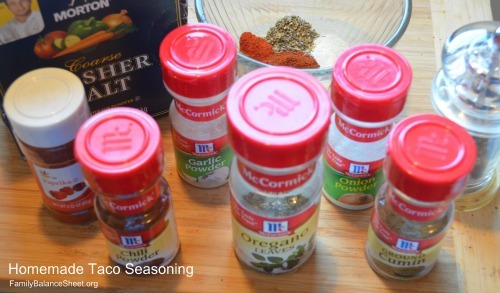 Mix together and use in place of store bought taco seasoning with 1 pound of meat and ⅔ cup of water or stock. You may add 1 teaspoon corn starch or flour to thicken the dish, but it’s not necessary. If making in bulk, use 3 tablespoons per 1 pound of meat. Also, try my Homemade Fajita Seasoning. 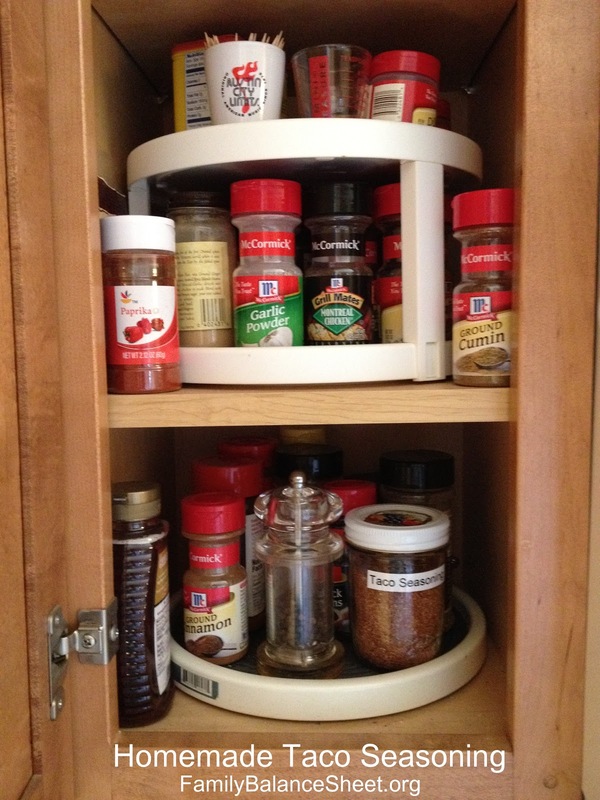 The one thing good about this is it saves money also…seasonings are so expensive,. oh what a great idea…will have to try that babe. Thanks. Happy saturday Sharefest!!!! You’re welcome, Rachel! Thanks for stopping by. This looks good. I’ve been wanting to try making my own taco seasoning, especially for times when I don’t have a packet on hand. Stopping by from SITS. Laura Jane – It’s so easy to make it your self and alter to your taste. Thanks for stopping by. I make my own taco and chili seasonings. It’s way better than that stuff that comes in the taco kits. Thanks for sharing, I will be sure to give this recipe a try. It is SOOO much better than taco kits. I’ll never go back to those packets. Thanks for stopping by. Terrific recipe! No added chemicals and things you have right at home. Thanks for stopping by, Carli! I have always wondered how to make my own seasoning. Thanks for this post! You’re welcome, Tabitha! Thanks for stopping by.